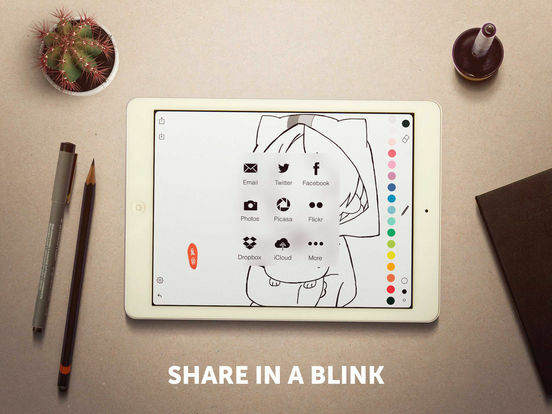 Tayasui Memopad – Draw, share, it’s done! 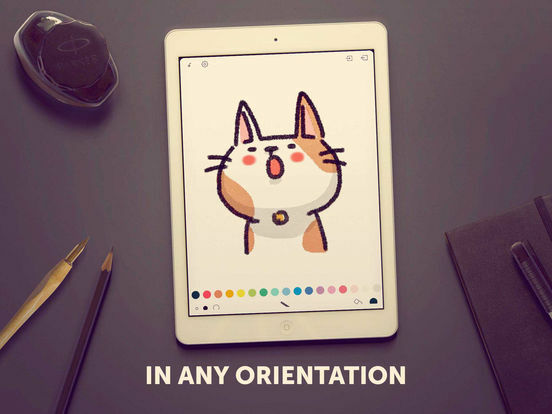 Memopad is one simple idea: make the simplest and fastest drawing notepad possible. Our motto : open, draw, share, it’s done! 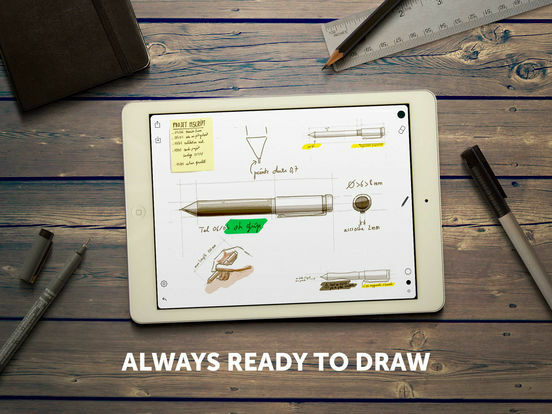 It’s quick to open, easy to draw, fast to share. The app always opens to a blank canvas ready to draw. All the tools, colors, and share options are one tap away. 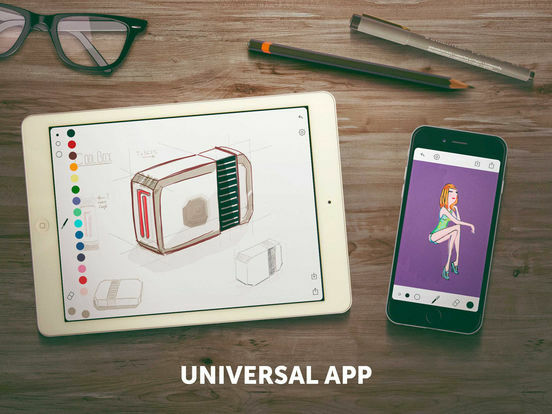 Your drawing is automatically copied and ready to be paste whenever you exit the app. Everything is fast. Really fast! Yet Memopad is also gorgeous to look at in its minimalist way, and carefully animated. We tirelessly polished the user experience with tons of animations to make it a joy to use daily. And we tested it for weeks with experienced artists to perfect it. Our motto : open, draw, share, it's done! We tirelessly polished the user experience with dozens of animations to make it a joy to use daily. And we tested it for weeks with experienced artists to perfect it. The user interface has been designed to scale very nicely from the iPhone 4 to 6+ to iPad, offering the same look and feel on every device. Basic Share: Mail, Facebook, Twitter. Fixed a bug where the app was crashing when starting the camera.